Dr. Amir Khalil, the external academic relations officer at Birzeit University, met with international professors working at the university to explore and expand channels of cooperation with international universities, on Tuesday, December 12, 2018. 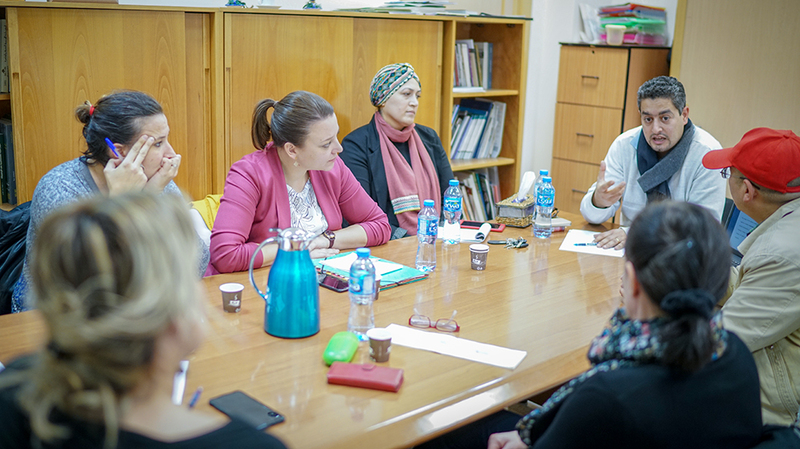 In the meeting, the Department of Languages and Translation professors - who teach German, French, and Chinese – and Khalil discussed the tools by which they could bolster Birzeit University’s cooperation with its international counterparts, focusing on bilateral agreements and memorandums of understanding. Such cooperation would allow Birzeit University to exchange faculty and students with international universities - through schemes such as Erasmus+ - jointly develop curricula, and expand its affiliation with global university associations; the university is now part of six international and regional associations.